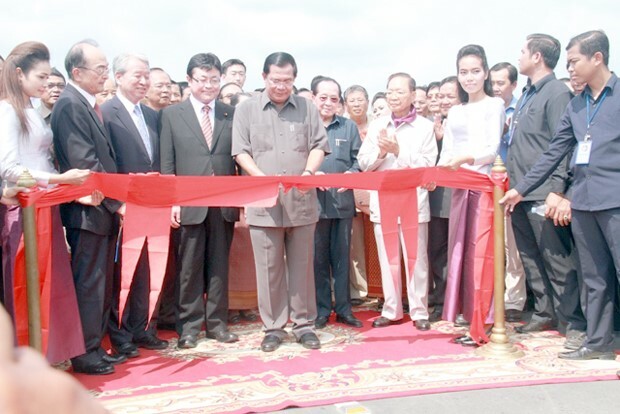 The Japan-funded Neak Loeung Bridge or Tsubasa Bridge was inaugurated here this morning under the presidency of Samdech Akka Moha Sena Padei Techo Hun Sen, Prime Minister of the Kingdom of Cambodia, and representative of the Japanese government. Located in Kandal province about 60 kilometers from Phnom Penh capital through National Road (NR) No. 1, the construction of the bridge of 2,215 meters long and its approach road with the length of 3,100 meters cost some 119.4 million Japanese Yen, equivalent to US$127 million. 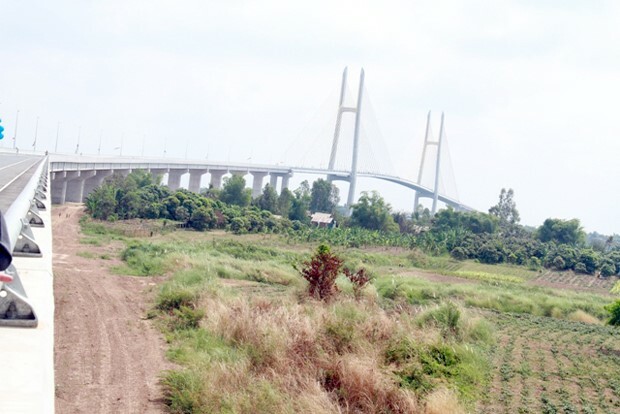 Neak Loeung or Tsubasa Bridge link the NR.1 at both sides of the Mekong River, but also all countries in the region. It will make the road have enough capacity to support transportation in the region and to meet the policy on the connection of the ASEAN Highways or GMS Highways. It is expected to significantly contribute to promoting economic growth/changes and livelihood development of citizens living along the road through internal integration, and regional and global integration. The road and bridge play as a part of Asia and ASEAN Highway 1, which could grab the opportunity to increase revenue from the competition, trade, tourism, industry, agriculture, health, security, job opportunity, etc. 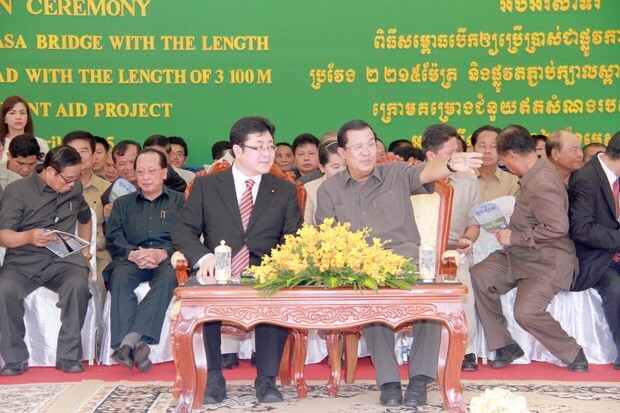 Beside Tsubasa Bridge, Japanese government has also funded the construction of the Cambodia-Japan Friendship Bridge, or better known as Chroy Chongvar Bridge in Phnom Penh capital and the Kizona Bridge in Kampong Cham province.